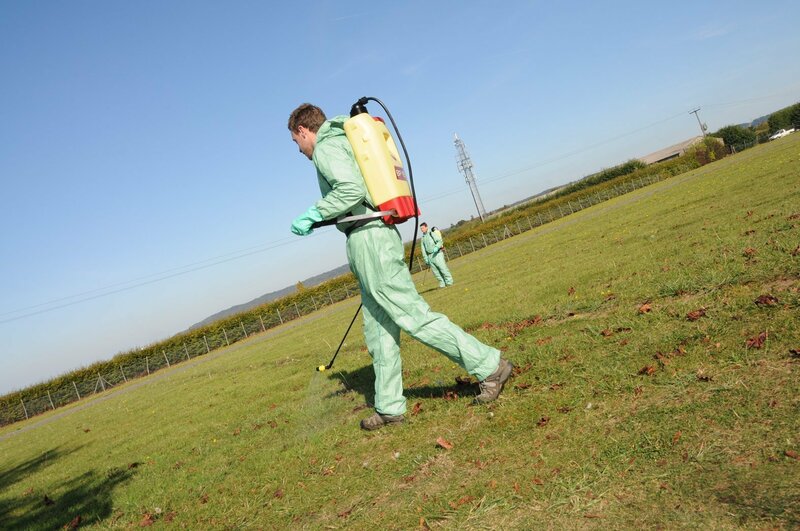 East Malling Short Courses provides pesticide application training courses (spraying) with City & Guilds NPTC assessments as a complete, cost-effective package in the heart of Kent, just off the M20 and adjacent to East Malling railway station. Pesticide application training courses (spraying) at EMSC take place in our dedicated training room in East Malling, Kent with on-site Café facilities available for lunch. We work closely with Field House Assessments who provide us with City & Guilds NPTC vocational qualifications. If you have a group of people who require pesticides safety training at your premises we can send a trainer direct to you, provided you have the necessary equipment. We will quote you a special price for this service. The law says you must be trained in their use. What does the HSE Codes of Practice say? Anyone who uses a professional pesticide product in the course of their business or employment may not use that pesticide or give instruction to others on their use unless they have received adequate instruction, training and guidance in their correct use. In addition users of pesticides must hold a Certificate of Competence if using a pesticide if they are providing a commercial service e.g contractors or anyone spraying on land that is not his or her employers.